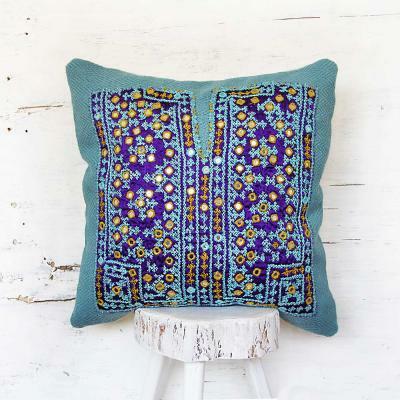 Our pillows are made from new to vintage traditional Baluch needlework pieces. Baloch women cut these pieces from their clothes and attach them to fabrics. Who makes the tribal embroidery pieces? 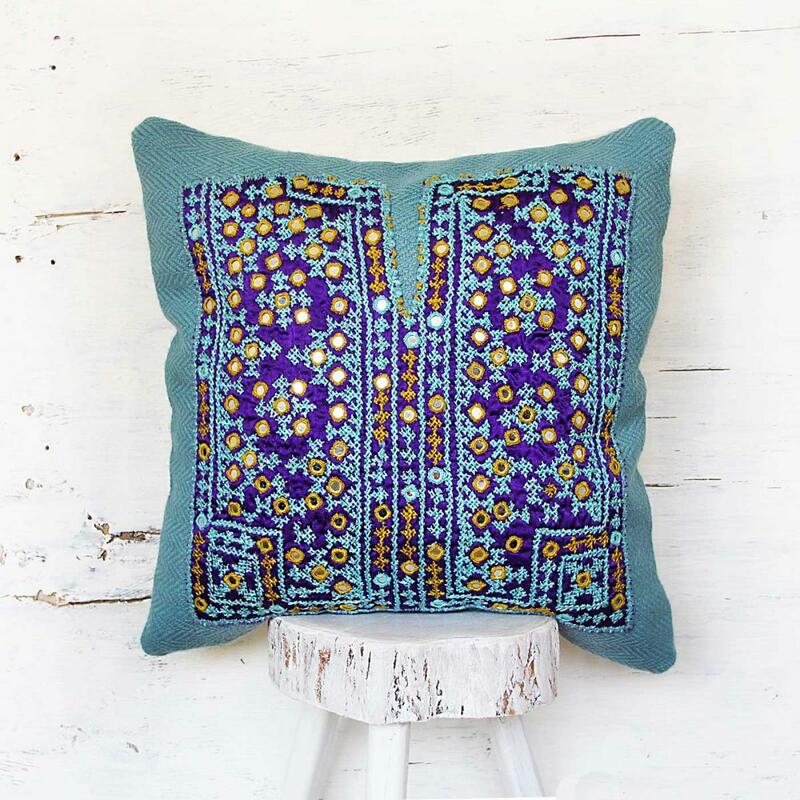 Our pillows are made from new to vintage traditional Baloch embroidery pieces. Baloch women cut these pieces from their clothes and attach them to fabrics. Baloch people live in the south-east of Iran, Pakistan, and Afghanistan. We buy embroidery pieces from Baloch people of Iran. 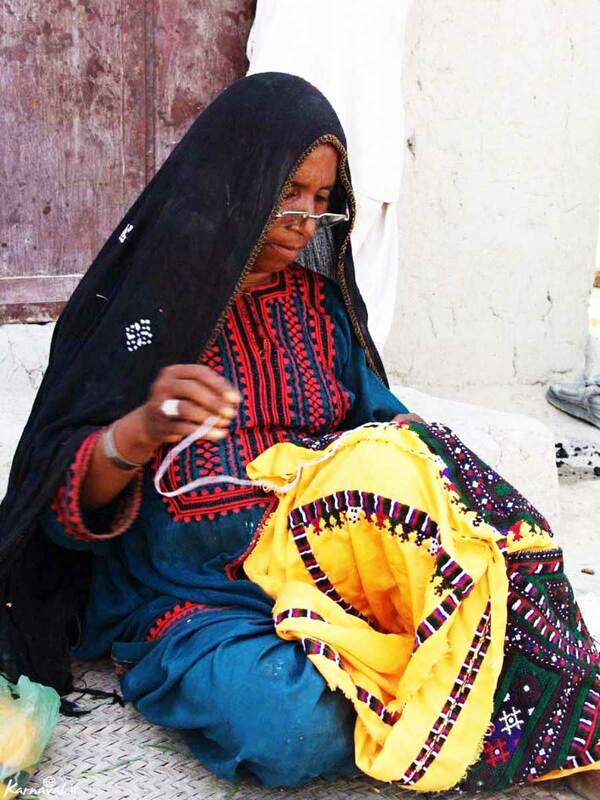 Almost all Baloch women embellish their clothes with local hand embroidery pieces which they make for themselves. It is their tradition. 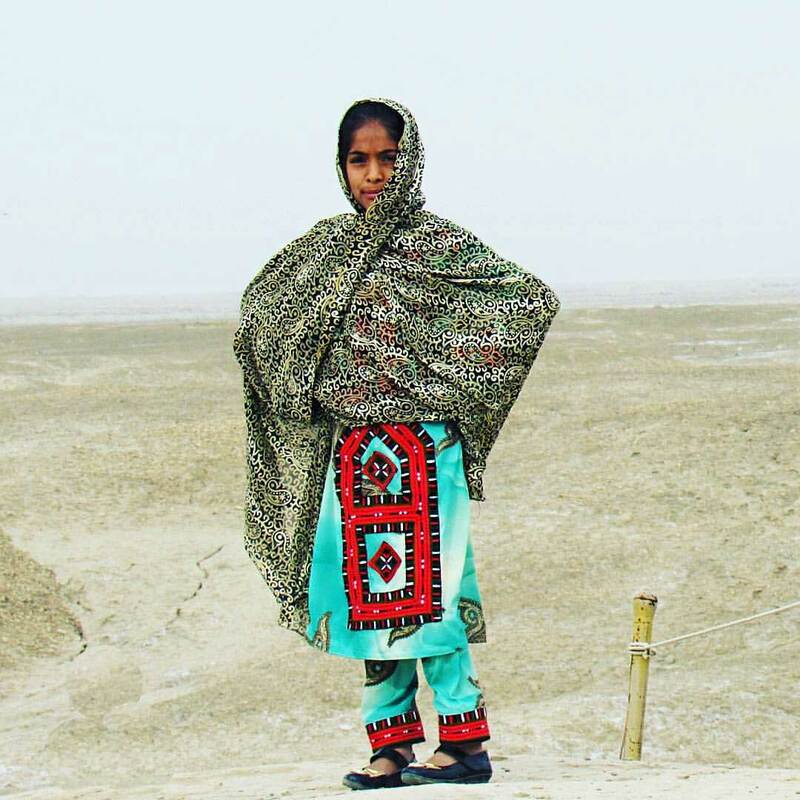 Although most Iranian Baloch people live in poverty, they do their best to make and wear beautiful clothes. We believe a lady puts all her effort, passion and creativity to make a dress for herself. Therefore, we prefer vintage pieces. New Baloch hand embroidery pieces are made for sale and are very expensive. First, women draw designs with colored yarns on the fabric. Then, they sew delicate stitches on the fabric with the help of a needle and a hook. Balochi embroidery is a delicate and exquisite art, which nobody knows rightly since when it was prevalent in Iran. But in western Iran, pieces of plain-knitted textiles were found that date back to six thousand years BC. Baloch girls start learning the art of embroidery since they are very young. Embroidery is blended with the daily lives of Balochistan women, and every girl learns it along with teachings of life principles. The suitable fabric for Baloch knitting should have defines warp and woof. There are three degrees of difficulty in Baloch embroidery; difficult, a bit difficult and easy. In the "difficult" degree of embroidery, almost all fabric is sewn. In a bit difficult work, almost half of the fabric is sewn. 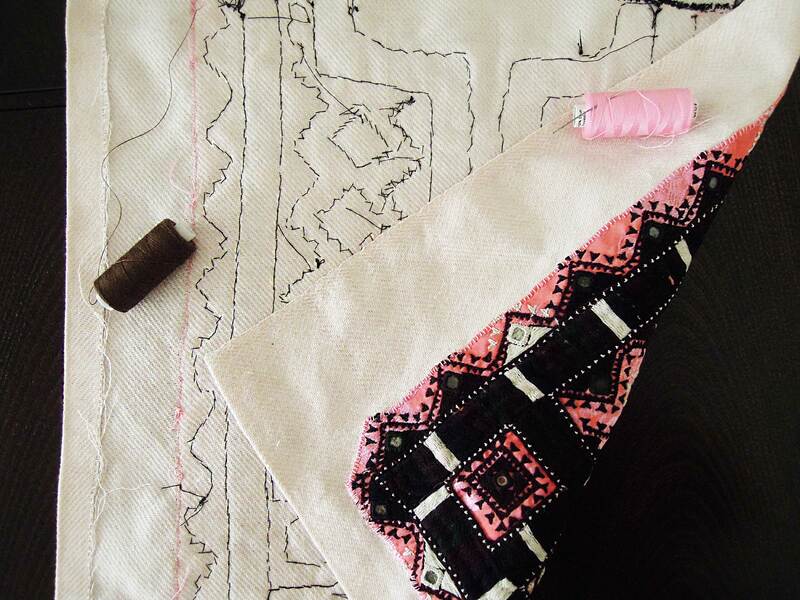 In the "easy" type of work, the artist sews stitches on the intervals of the design according to her taste. In this way, each woman or girl sews a color and hand it to the next artist for the use of another color. They choose vibrant and live colors to express their femininity passion for life. Balochistan motifs were inspired by animals and plants. These motifs are undergoing some changes to geometric motifs these days. The geometry of motifs is also a feature of the old designs of Iran. 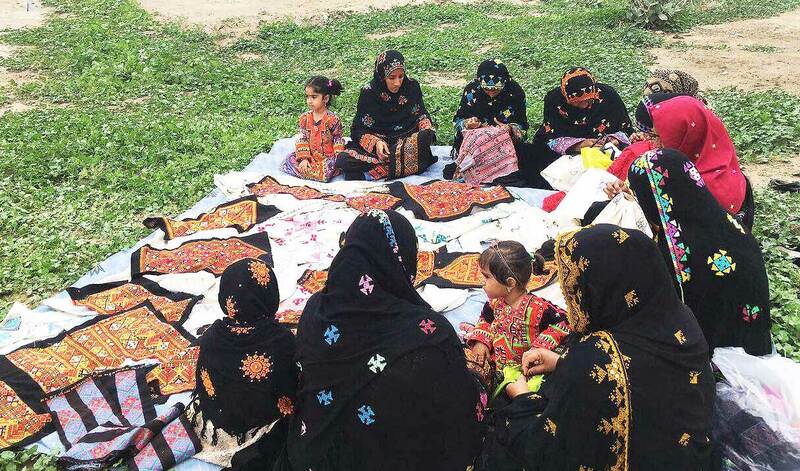 Patterns of knitting need to be learned from generation to generation by mothers to daughters and penetrate the underlying layers of the minds of Baloch women. How do we turn embroidery pieces into pillow covers? We choose the best embroidery pieces. We try to choose different colors and patterns to provide unique pillow covers for different tastes and home décor styles. Sewing these pieces to fabric is a delicate work and is only done by hands. There should be no trace of sewing pattern on the work, and only Baluch women know how to do it in the best way. So we ask them to sew these pieces on the fabrics that we choose. Sometimes we choose handwoven fabric as a background of our pillows to emphasize the artistic value of these pillows. Sometimes we choose handwoven fabric as a background for our pillows to emphasize the artistic value of these pillows. The back of our pillows features either a neutral color cotton fabric or a colored fabric that matches the embroidered part. To prevent the unraveling, we zig-zag all the edges first, then we cover them with a strip and sew them. We sew the Zipper on the back side of our cushions. Due to the nature of being vintage and handmade, our embroidered pillows might have minor imperfections which we think is beautiful, because these imperfections show the work is done all by hands. In spite of the use of vibrant colors and beautiful patterns, these pillows have artistic, cultural and historical values.